Today we had our street party to celebrate the Queen’s 90th birthday. 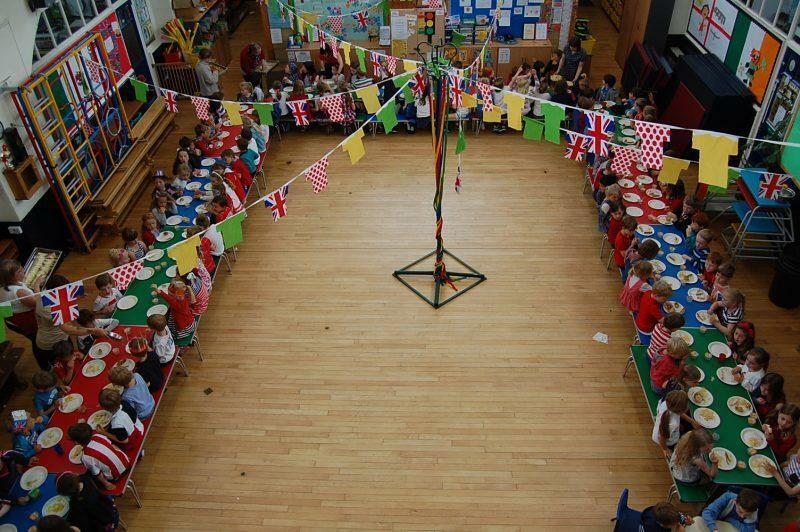 Unfortunately the weather this morning was not very good so we held the street party in the hall which was decorated with bunting. The children had made royal crowns which they all wore to lunch. There were sandwiches, sausage rolls, nibbles, cakes and soft drinks. Thank you to Mrs Robinson and her team and the governors who came in to help serve the children and help celebrate.